Nintendo hopes prosecution will discourage piracy. Police in the central Aichi region of Japan arrested a suspect accused of selling Majikon, adapters intended to circumvent handheld device security protocols. Though trade in Majikon, sometimes called R4 cartridges, has been outlawed since 2009, it took a 2012 amendment to the Unfair Competition Act to give the law teeth. This, claims Nintendo, is the very first time anyone has faced criminal sanction for selling Majikon adapters, and it hopes that the example will discourage others. 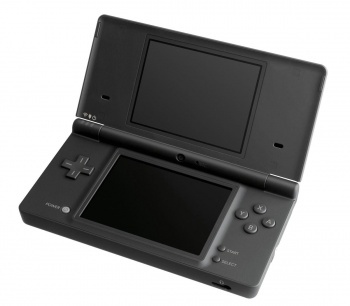 The adapter was designed to allow users to play their own software on Nintendo's DS device. Nintendo argues that these adapters are notoriously used to play pirated games, downloaded from the internet. Majikon manufacturers claim that they're just helping people play home-made software on their handhelds. The storage units have been banned elsewhere, but, in Japan, trade in the popular plug-and-play homebrew devices has gone unchecked. No doubt Nintendo is pleased at this latest milestone, but fans of user-made content may not be so happy. Until now, Majikon has been a very popular add-on; if more arrests follow, that popularity's bound to dip, threatening the homebrew community.